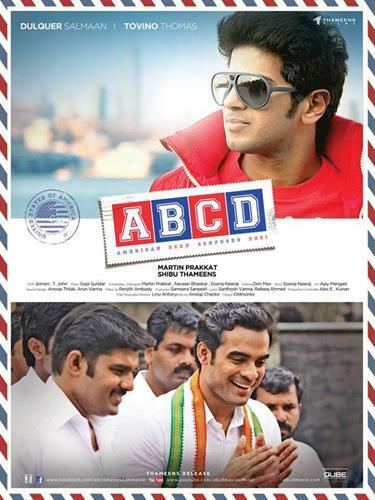 Tovino Thomas, young malayalam actor is on cloud nine after getting huge response for his latest release ABCD:Amercian Born Confused Desi. Tovino who kept high passion over movies right from his schooling resigned his job to give life to his dream, becoming an actor. With the dream come true, Tovino has signed his next project with Roopesh Peethambaran. Read more to know about Tovino Thomas and his acting career. The malayalam film industry had been the stepping stone for many budding artists to show their skill in front and behind the screen. Those who were able to keep their promise alive were well received by the audience wholeheartedly. This positive reception had been a real blessing for many youngsters which gave them more oomph to move forward. Adding one more to the line of vigorous actors, here is the entry of Tovino Thomas who has already made his presence acting in a couple of movies. The actor who hails from the 'Land of Boon' Irinjalakuda, Thrissur is a Engineer by profession who had worked with Cognizant (Chennai) as an software programmer. Tovino who kept high passion over movies right from his schooling resigned his job to give life to his dream, becoming an actor. His years of hard work really had paid for him after he could get a good opening with ABCD: Amercian Born Confused Desi directed by Martin Prakat. Donning a throughout role in ABCD as Akhilesh, the young actor Tovino is blessed with all the qualities which can give him a number of projects in near future. Tovino has already signed his next project shouldered by Roopesh Peethambaran which has already made name with its unique concept of 'six climaxes'. Tovino has worked as a model and even lend his face for few short films and advertisements. Maathra, Jaalakam and Snehapoorvam were the short films which proved him as an actor. Later Tovino took interest in direction and assisted Roopesh in 'Theevram'. Prabhuvinte Makkal was Tovino's first commercial movie which gave him a chance to work with some of the popular actors in malayalam. His appearance in the commercial ad Indulekha Hair Care Oil was much popular during the days of airing in Malayalam TV Channels. So get ready to welcome a new actor who does have capability to rise to the league of 'malayalam heroes'.